Yesterday I just completed the SOA development and next thing I have to move all the deployed composite on to the UAT enviornment and then production. But I think it is very cumbersome to deploy each composite one by one on to the soa server, so to overcome this problem I am using the different SOA bundles, each soa bundle consist of multiple composite of particular partition. In the jdeveloper create a New Deployment Profile. Select Soa Bundle from the list. 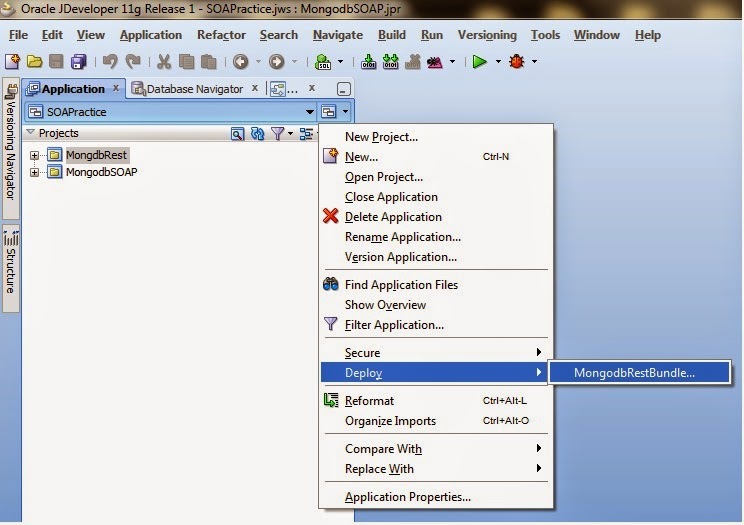 Name the soa bundle, "MongodbRestBundle" in this case. Click Ok. Choose dependencies on this bundle, so check all those composites that you want to deploy in single partition. Click Ok and finish the wizard. SOA bundle is configured now. Just click on the deployment profile that you have created in above steps. 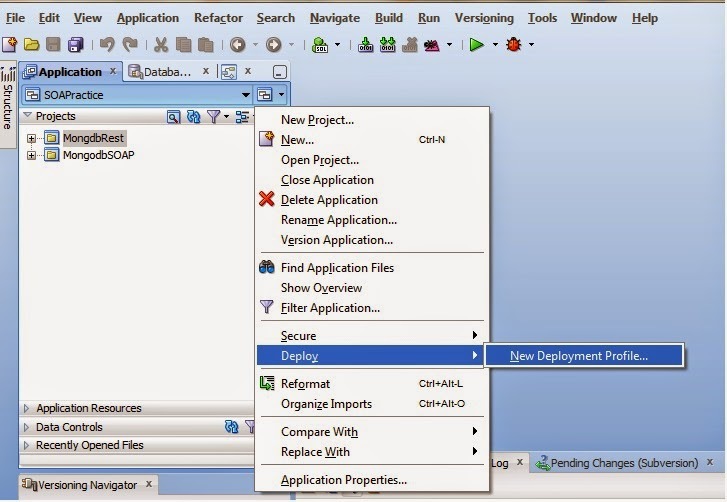 select "Deploy to Application Server" and click next. Select application server connection and click next. Select the soa server and partition in which you want to deploy the bundle.